Salman Khan had reportedly brought subscription of the software called 'Counter V2' from a website for Rs 5000 a month, with which he allegedly ran a network of over 5,400 agents all over the country. You must have, sometimes, wondered how the Tatkal ticket service of the IRCTC (Indian Railway Catering and Tourism Corporation) is exhausted most of the time. How even after the start of the Tatkal booking at the IRCTC portal, the system shows that all Tatkal tickets have been booked already. The Railways authorities recently found the answer to this problem. 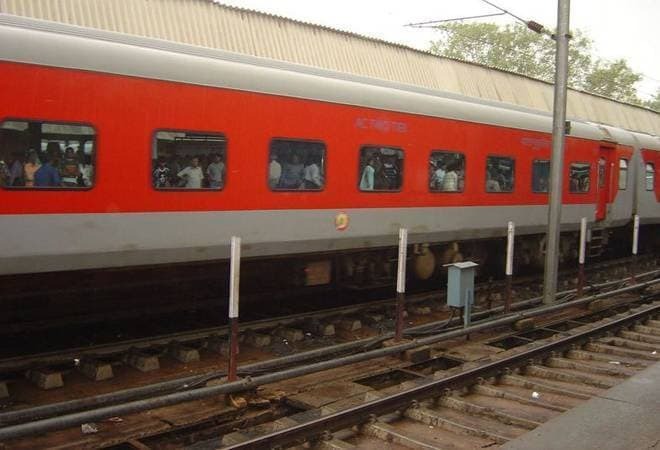 In one of the biggest Railways ticketing scams, the Central Railways on May 2 arrested a man named Salman Khan, 32, from Mumbai who used fake software to help touts book Tatkal tickets in just a matter of seconds. With the help of the software, he earned over Rs 35 lakh a month, said police. A native of Zila Gonda in Uttar Pradesh, Salman Khan had reportedly brought subscription of the software called 'Counter V2' from a website for Rs 5000 a month, with which he allegedly ran a network of over 5,400 agents all over the country. According to Sachin Bhalode, senior divisional security commissioner of Central Railways, a raid was conducted on May 2 by the vigilance team along with Railway Police Force's (RPF) Crime Intelligence Branch (Panvel) and anti-tout squad of Chatrapati Shivaji Maharaj Terminus and Oshivara Police in Jogeshwari (West). During the check, Khan was arrested with his laptop. The officials received 80 e-tickets amounting to Rs 1.4 lakh from his possession. A case under Section 143 of the Railways Act was registered against him by the RPF, Byculla. Upon further interrogation, the police recovered another 6,000 e-tickets (PNR numbers), amounting to over Rs 1.5 crore, from his possession.The cops said he used to issue as many as 6,000 PNR numbers a day. Police said the software 'Counter V2' had optical correction recognition, meaning it bypassed the IRCTC captcha and the options for bank OTP, to generate tickets. For a genuine user, the entire process usually takes around a minute or two to fill the details, including bank OTP, but the accused and over 5,000 agents working for him used the software to subvert these options to book tickets without any hassle. Police said the fake software could even auto-fill the details of the passengers, thus saving time for them. The accused used to pay Rs 5,000 per month to use the software he bought from a website, said the police. He also used to charge Rs 700 per month from his agents for using the software, while rest of the money was kept by different people running the website. He was also arrested by the Central Bureau of Investigation (CBI) for his involvement in ticket touting in 2012, and was out on bail. This software came in the market three-four months ago. In the first month, Khan made about Rs 10.5 lakh as 1,500 touts downloaded this software, the cops said. Next month his income increased to Rs 23 lakh. After his arrest, he confessed to have made Rs 35 lakh per month by using the fake software.